Conflict in the workplace cannot be avoided. The differences among all the people and personalities within a company create an environment tailor-made for disagreements and conflict. 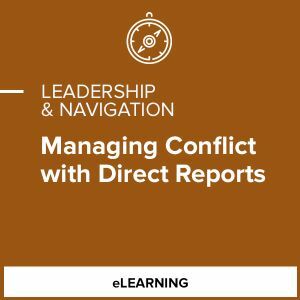 This is a difficult challenge for managers, and it's especially difficult when conflict occurs between managers and their direct reports. Such difficulties arise partly because of the power relationship between managers and direct reports. Extensive research conducted by CCL with both U.S. and European managers shows that the inability to manage conflict and interpersonal relationships with direct reports is one of the major reasons for managerial career derailment. To be a successful leader, you must understand that managing conflict is one of your key priorities and develop a comprehensive strategy to address these conflicts.